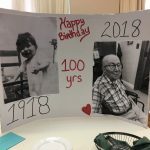 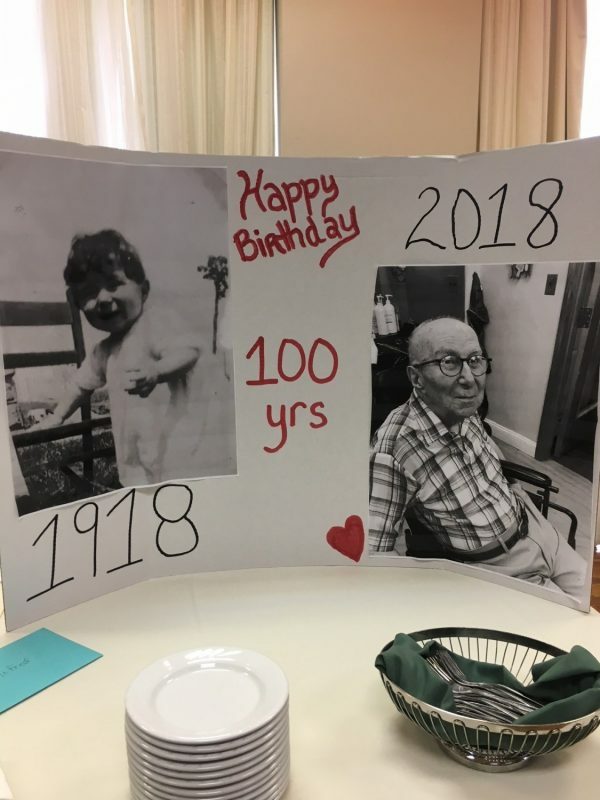 It was a wonderful afternoon honoring our resident Fred Grimani for his 100th birthday social attended by his family and friends. 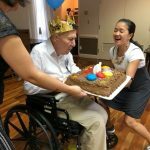 Fred moved to The Fountains at Washington House in 1997 and served as our Resident Council President for a couple years. 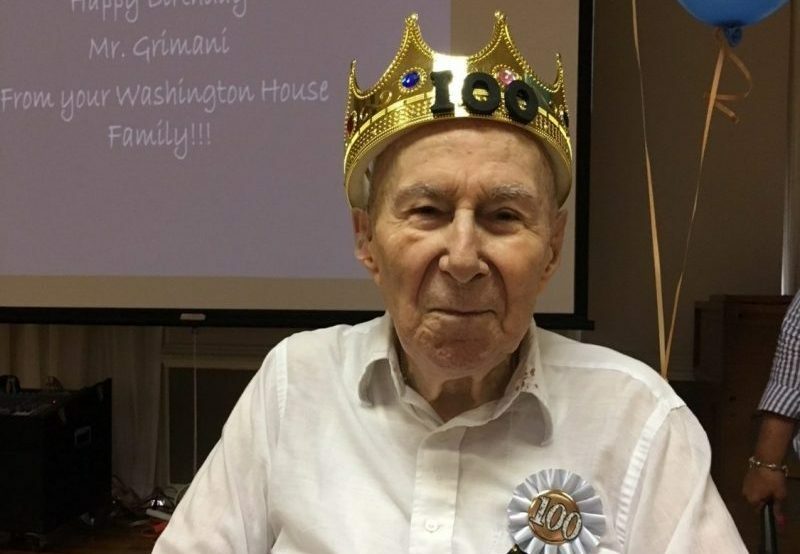 Mr. Grimani was born in Ohio on July 14th, 1918. 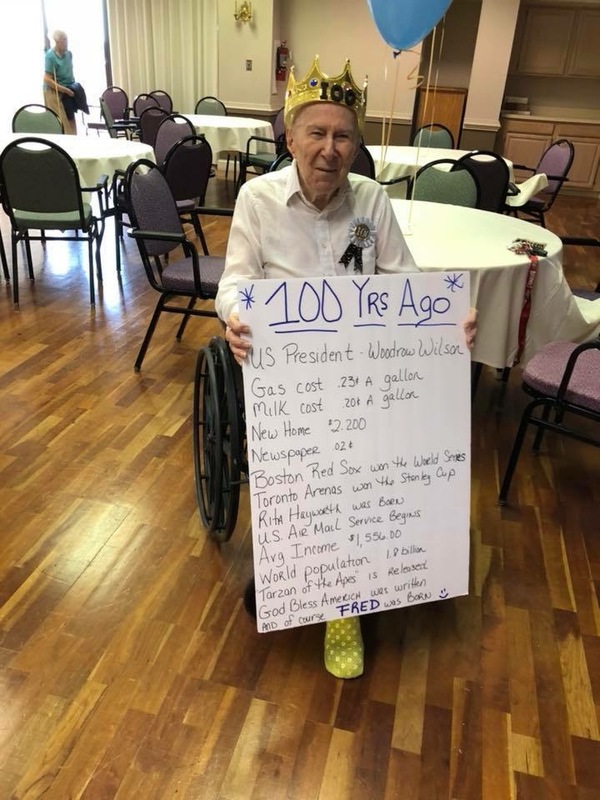 He served in the army and worked for the government for 30 years as a public accountant. 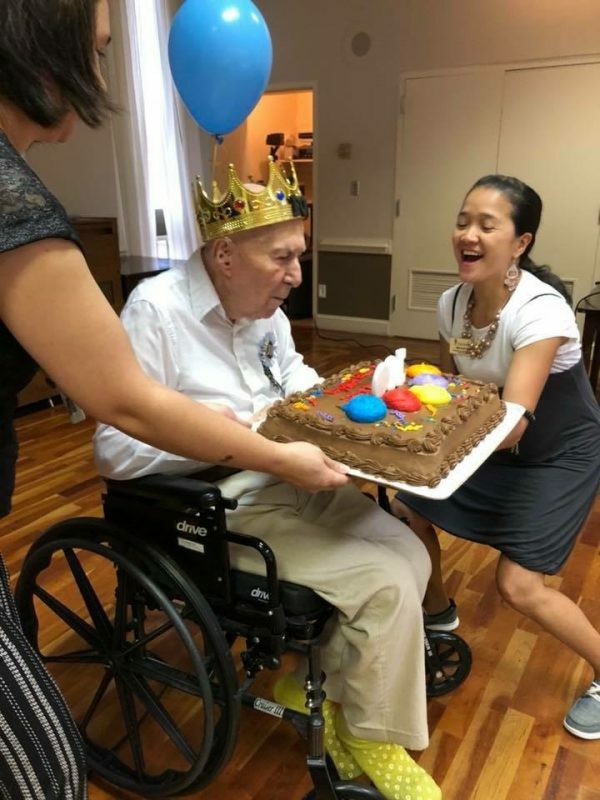 He graduated from George Washington University, majoring in Accounting. 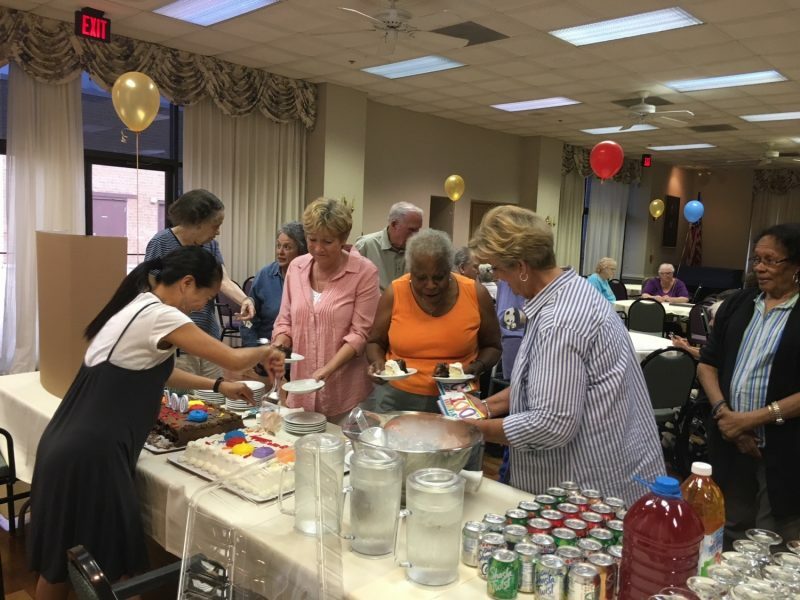 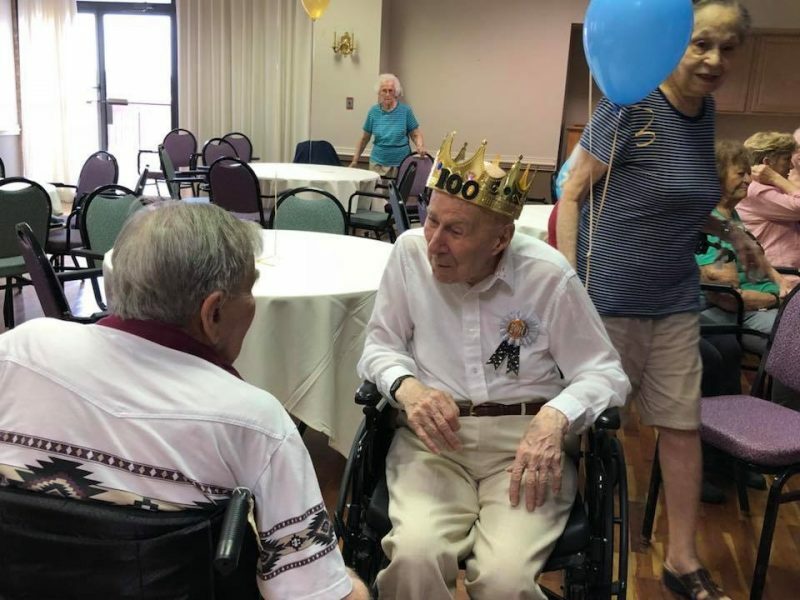 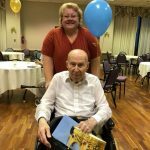 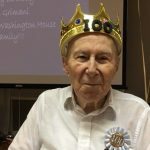 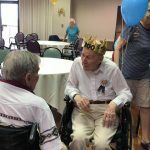 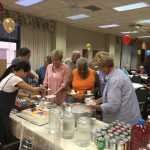 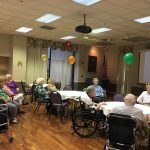 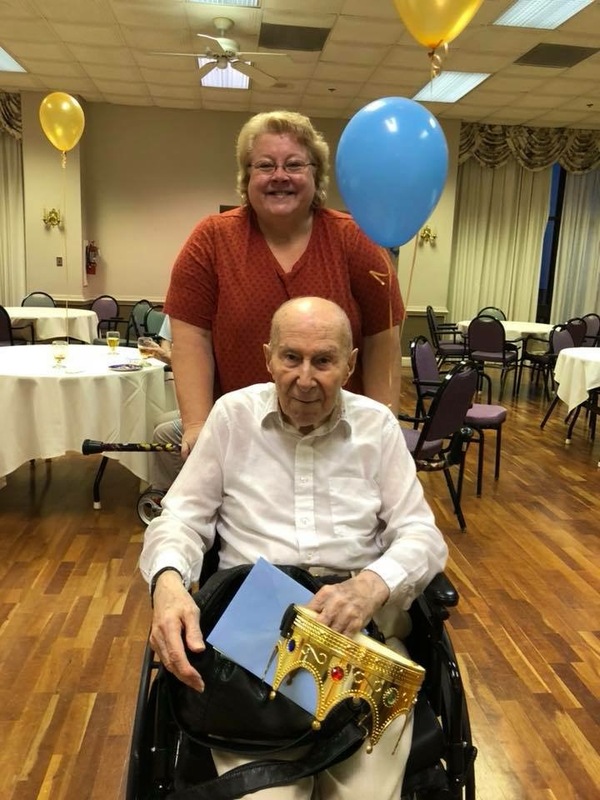 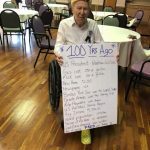 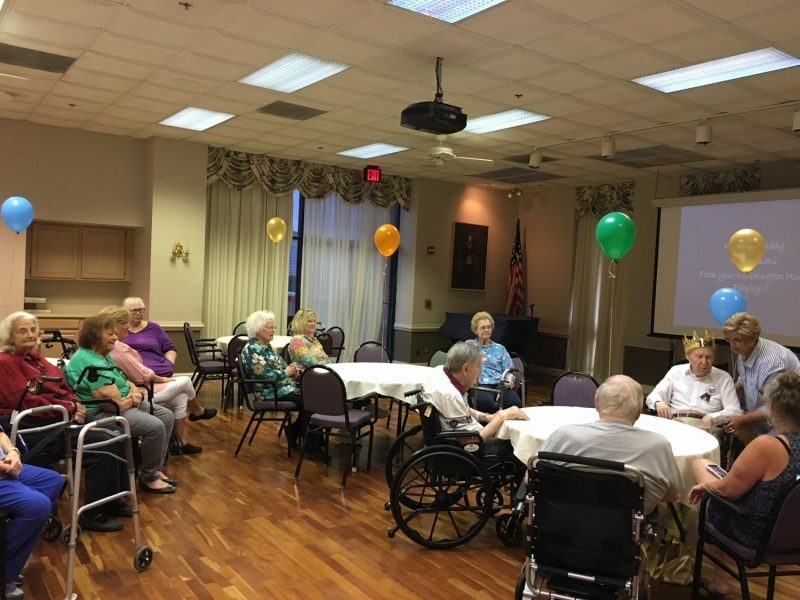 When we asked Fred about his secret to longevity, his response was “Stay active and eat healthy.” Special thanks to Vicky Mills Macdonald, The Community Life and Dining Services Teams and residents for creating a meaningful moment at Mr. Grimani’s 100th birthday celebration!